How did Pasture Paradise Evolve? Jaime Jackson is a former farrier who, between 1982 and 1986, undertook studies of feral horses interacting in their natural environment. 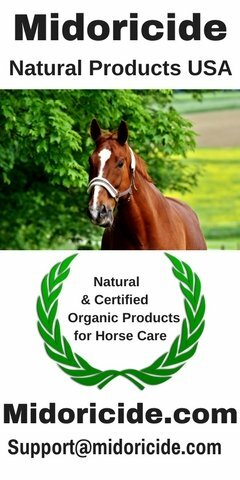 These studies revealed that feral horses rarely suffered from hoof problems such as laminitis or navicular which commonly affect our domestic horses. So, based on what he saw in the wild, he started experimenting with trimming parameters for domestic horses that reflected the natural hoof and which would allow them to remain barefoot. In 1990 he stopped using shoes on horses and started promoting the wild horse trim. He published his first book in 1992, The Natural Horse: Lessons from the Wild which documented his wild horse studies and offered insights as to how we could better meet the biological needs of our domestic horses. 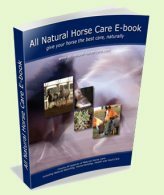 In 1999 he went on to write the Horse Owners Guide to Natural Hoof Care which went into more detail regarding his trim methods. 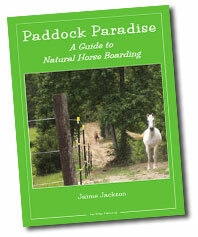 Paddock Paradise: A Guide to Natural Horse Boarding was published in 2007. Instead of housing our horses in regular square or oblong fields where they just stand in one spot and eat, and eat, and eat, an additional "inside" fence is added to create a "track" system. See diagram on right. The track width can vary - the narrower the track the more the horses will move. 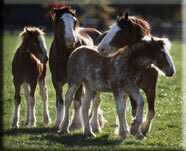 However you don't want it too narrow if you have more than 2 horses as one may get cornered by a more dominant horse. Now this may sound like a lot of work and expense but it can be done quite cheaply and quickly using electric fencing and is well worth the effort when you see how much happier and healthier your horse is. When we moved to this property there were no existing fences so I was able to design our track system from scratch. We are very lucky to have approximately 30 acres of pasture but with only 4 horses and 2 ponies I wanted to reduce the amount of grazing whilst keeping the track as long as possible to encourage maximum movement. So we did a bit of brainstorming and came up with the idea of making our own using 6" x 2" x 10ft spruce, cutting it to 5ft lengths, then cutting into 3 to end up with 2" x 2" x 5ft posts. Then we cut a spike onto one end to make them easier to pound into the ground and added 2 plastic electric fence insulators (see pic - left). The total cost per post worked out to around $1 (CAN) which is cheaper than the store bought ones. We used the electric fence poly rope on the top of the outside fence, with electric fence wire on the bottom and inside track. The rope is better than tape as it doesn't get twisted or flap in the wind but is still very visible. We tied surveyors tape all along the wire to make it more visible but the wind tends to bunch it up by the posts. The only time the horses have a problem with seeing the wire is if you move the fence and they don't get to see the changes until it's dark. Otherwise once they know where it is they don't seem to have a problem with it. We do use the lighter gauge wire that will break relatively easily, just in case they should run into it. Our track incorporates the natural features of our property: a creek for hoof soaking; areas of gravel and rock to toughen up the hooves; hills for conditioning; trees for scratching and shade; and two mud areas designated for rolling. Photos of these features can be seen below. Here is an aerial view of our Paddock Paradise track (right). As you can see it is quite long, with two loops. I have tried to avoid sharp corners so that there is a better flow - Monty, our young Paint x TB thinks that the loop on the bottom right is his own personal race track...he loves to run like the wind down the straight sections. I am amazed by how much more they move since implementing the track system. They all look as if they are worked regularly which makes me feel less guilty for not having time to ride as often as I'd like! The horses also have free access to a large stone barn run-in which has a concrete floor and rubber mats. This is great in the summer as the stone walls keep it nice and cool, whilst they also provide good insulation in the winter. The horses like to hang out in here when the flies are bad as it has a nice through-wind which keeps the flies at bay. In the winter we utilize our horse slow feeders which ensures that the horses have regulated access to free choice hay. I am totally convinced by the benefits of Paddock Paradise and highly recommend you try it for your horses. The Paddock Paradise book provides lots more information and ideas for customizing your track and can be purchased in the fully secure Amazon website - just click on the "I recommend" section on the right. I highly recommend you read the Paddock Paradise book as it contains lots of examples and ideas for making your track as stimulating as possible for your horse. Click on the image of the book on the left to purchase. Mustang Mountain, otherwise known as Stars Rest, is located on the side of a mountain in northeastern New Mexico. It is at 7,600' elevation and the terrain varies from steep granite bluff to rolling sandy bottom. It is surrounded by ponderosa pine forest and there is no pasture land. Stars Rest's formerly wild mustangs are fed free choice local grass hay and just enough beet pulp to provide them with necessary supplements. They are all kept barefoot and have no difficulty climbing up and even galloping over the rugged mountain terrain. In spite of dire predictions of lameness and injury from keeping horses on this rugged piece of land, our little bachelor band has just gotten stronger, healthier and happier. Missouri Paradise consists of approximately 12 acres made up of mostly hardwood forest along with 4 acres of pasture and is home to 4 horses. 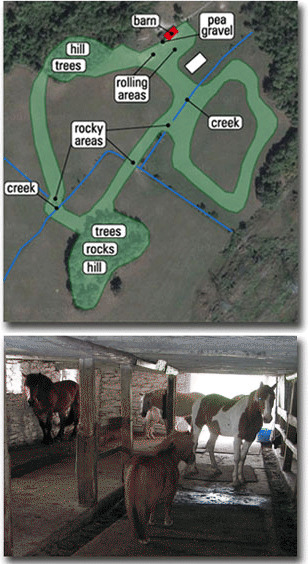 This site shows how a single paddock can be altered to create more interest and encourage the horses to move more. A track has been built around the edge and rock has been added to give a more varied terrain. Want to share your paddock paradise? Help others by sharing information and photos of your Paddock Paradise. A Paddock Paradise, naturally organized around a forest. 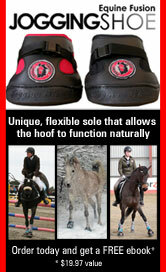 Looking for somewhere to board your horse?